Television actor Ankita Lokhande, who was once the most popular actor because of her serial Pavitra Rishta co-starring Sushant Singh Rajput, is now all set to make her silver screen debut with Kangana Ranaut's Manikarnika The Queen of Jhansi. The film's first look is supposed to be out on August this year. 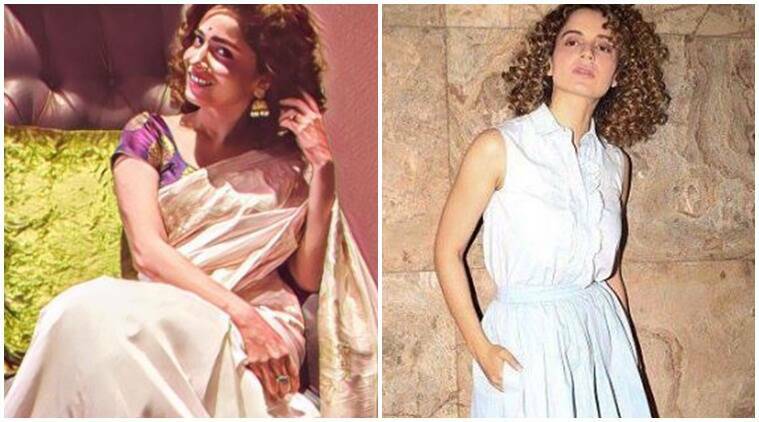 Ankita Lokhande plays a pivotal role in Kangana Ranaut’s Manikarnika: The Queen of Jhansi. Television actor Ankita Lokhande, who has been away from the screen ever since her serial Pavitra Rishta got over, is all set to make a smashing entry into Bollywood. The actor would be playing a pivotal role in Kangana Ranaut’s upcoming film, Manikarnika: The Queen of Jhansi. The actor would be seen playing the character of Jhalkaribai, who was considered as the right hand of Rani Laxmibai and was a part of her army. “I’d never heard of her before, not many have, but Jhalkaribai was one of the greatest heroes of our proud history. I’m honoured that I’ll be telling her story to the world, fighting alongside Kangana’s Rani Laxmibai,” Ankita told Mumbai Mirror. Due to her stark resemblance to Queen of Jhansi, Jhalkaribai was induced in her army and went on to act as her body-double to deceive the British during an attack. She later sacrificed her life to save the Queen. Ankita, who was seen playing an obedient daughter, daughter-in-law, a wife and a mother in her TV serial, would be seen fighting with swords, riding horses and will reveal a side to her which was never seen before. Apart from her television stint, the actor was also in news for her relationship with actor Sushant Singh Rajput. The two were dating during their television stint. However, sometime back, the two parted their ways.